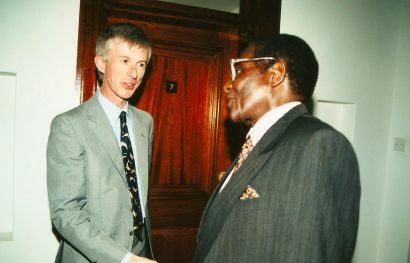 David Dimbleby returns to Zimbabwe and talks to President Robert Mugabe as his hold over Britain's former colony faces its most serious challenge in 20 years. He finds a country still scarred by its history – the years of rebellion by white Rhodesians, the war of liberation by black nationalists, and the doubtful fruits of victory and independence. This is a story of treachery and triumph, tragedy and farce, in which Britain is still deeply embroiled.